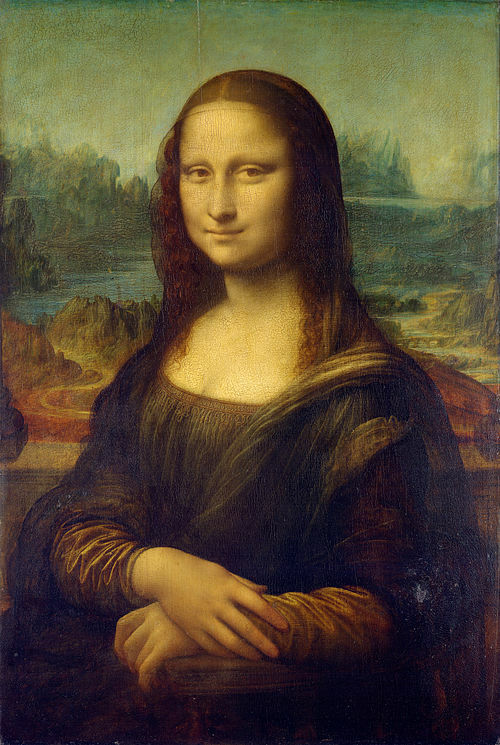 The famous Mona Lisa or La Gioconda (1503-1506), 'lady of light' or 'light-heartedness'; Lisa sits between two columns, with only their bases barely visible. Image Source: Wiki. In an earlier post, I argued that scientists and technologists ironically inspire the primal and anti-rational because they are transforming life, breaching boundaries, and not always weighing long term consequences of their innovations. To understand that process, one must analyze it with ideas from the arts and humanities. With regard to the impact of the Internet, part of the answer comes from visual artists, who are preoccupied with how we see the world and how the world sees us. In my previous post in this series, I discussed Gerhard Richter's mirror paintings and their resemblance to computers as mirrors. Perhaps the most famous symbolic depiction of the mirror looking at us is Leonardo da Vinci's Mona Lisa (1503-1506). Mona Lisa is smiling so mysteriously because the painting may not be about its enigmatic subject, Lisa del Giocondo (née Gheradini), at all. The symbolism in the Mona Lisa indicates that the portrait represents an archetypal mirror, which is actively watching you. Understand the Mona Lisa, and one starts to understand our present circumstances on the Internet. The next few posts in this series describe how the symbolism of the Mona Lisa provides clues to our Millennial mentality. Given the uproar over Donald Trump's presidential candidacy, it is fitting that today's post also explains the meaning of the word 'trump' in Renaissance card games, and it discusses why the Mona Lisa depicts a trump card and concept. 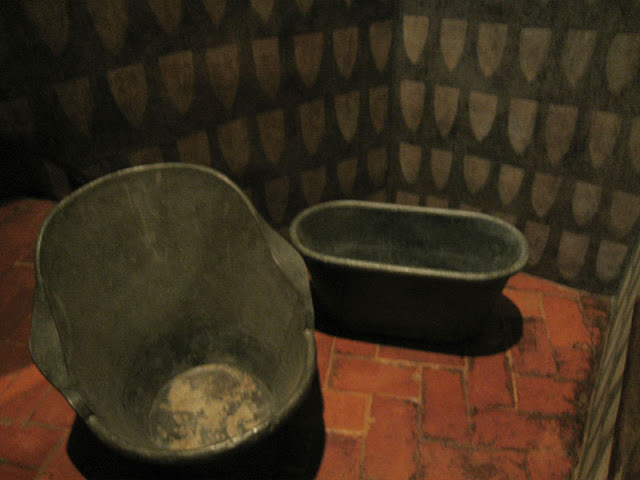 For a taste of medieval walled town life from Leonardo da Vinci's time, this is Pérouges, France, built in the 14th and 15th centuries around wine and weaving industries in the Ain River Valley, near Geneva; it is a seven hour drive by car to Florence, Italy. Video Source: Youtube. 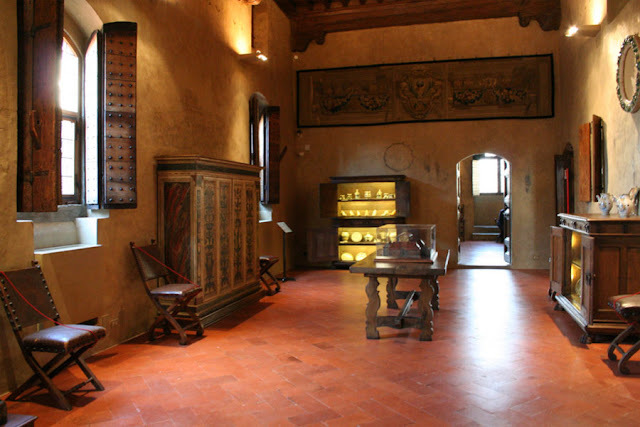 The medieval town of Gradara is known for a castle which was finished in the 15th century, and would have been new in Leonardo da Vinci's youth. The castle features in the fifth canto of Dante's Divine Comedy, at the climax of the adulterous love story between Francesca da Rimini and Paolo Malatesta. Video Source: Youtube. 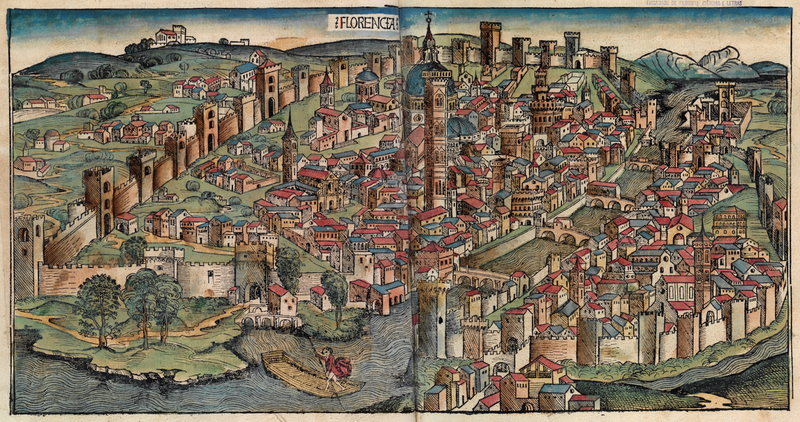 Florence in da Vinci's time, in a 1493 woodcut from Hartmann Schedel's Nuremberg Chronicle. Image Source: Wiki. 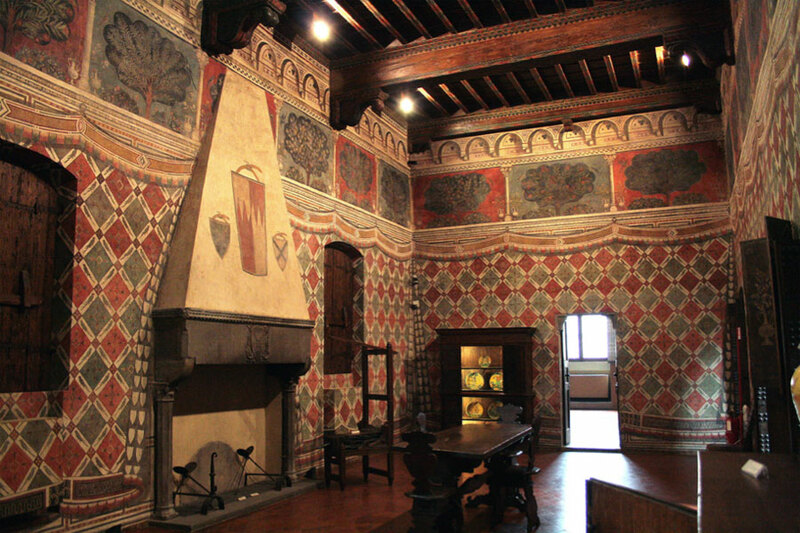 Interiors of Palazzo Davanzati, a restored medieval-Renaissance Florentine palace, built in the late 14th century. 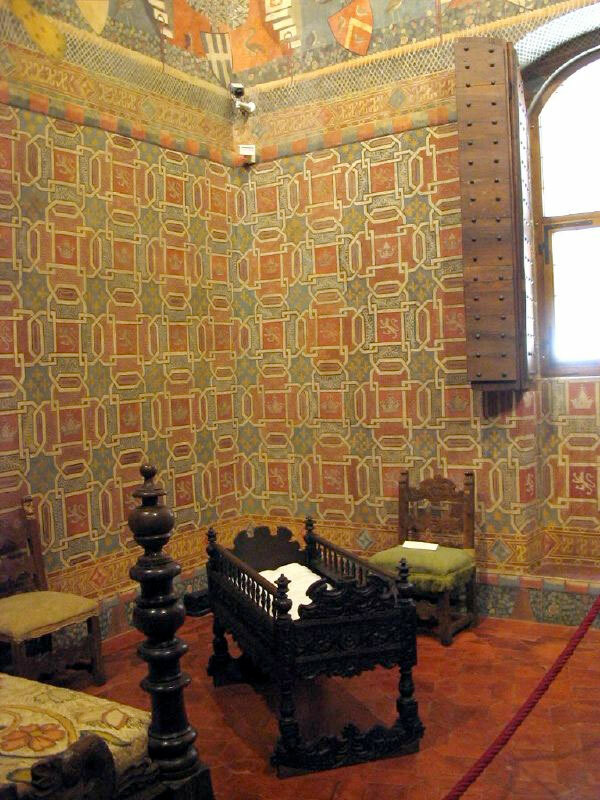 The palace reveals a claustrophobic, walls-within-walls mentality, with everything being enclosed: towns, compounds, houses, inner houses, locked rooms, hidden chambers, and secret passages. Inhabitants sought ever greater security from outside conflicts, which became more elaborate and complex. 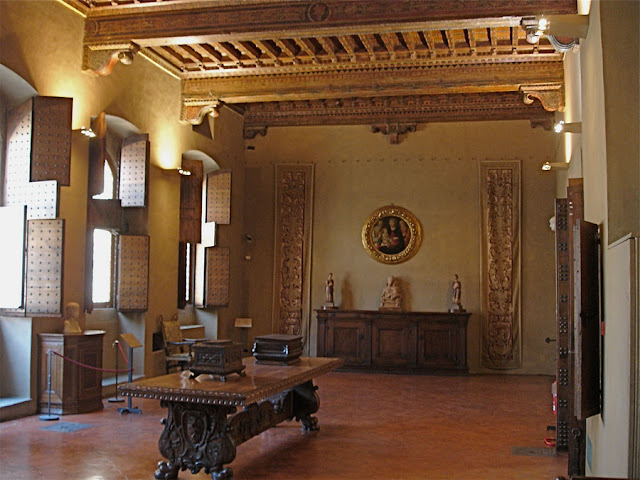 Images Source: Walks Inside Italy and Sailko/Wiki and Museums in Florence. Da Vinci painted the Mona Lisa at the turn of the 15th-to-16th centuries during the transition from the Middle Ages to the Renaissance. The Mona Lisa contains triumphal allegorical symbolism which was very popular at the time. These allegories were everywhere. They were a cultural shorthand for a whole range of accepted ideas about the way the world worked. 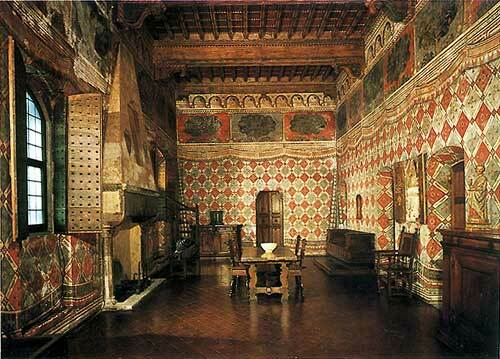 At this time, noble families and guilds presided over life inside walled towns. Constantly in conflict to amass power and consolidate control, they revived the old Roman tradition of triumphal processions to celebrate victories in battles. 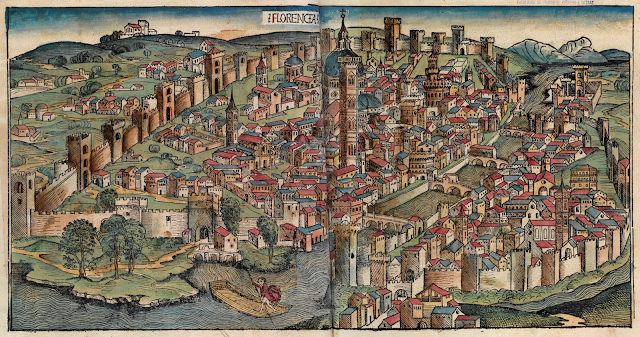 The Renaissance, according to Joseph Manca, was "the age of the trionfo." Parades took on symbolic qualities to enable noble families to assert their historical continuity with the greatness of imperial Rome. "In the first triumph, Love as Cupid conquers the gods and men (including Petrarch). In the second triumph, Chastity defeats Love, reflecting Laura's ladylike rejection of Petrarch's advances. In the third triumph, Death defeats Chastity (Laura was a victim of the Black Death). In the fourth, Fame defeats Death (her reputation lives after her). In the fifth triumph, Time defeats Fame, and finally (sixth), Eternity conquers Time (with the promise that Petrarch and the object of his love will be united at last in the afterlife)." The poem, in Italian and English, is here. The victories of ever-higher allegorical figures are depicted in the illustrations below. Triumphant allegorical figures, or 'trumps,' were then included in the invention of the tarot deck, a kind of Game of Thrones card game for nobles. The earliest tarot cards look a lot like medieval illuminated manuscripts, but were adapted to woodblock printing, introduced in the 15th century. 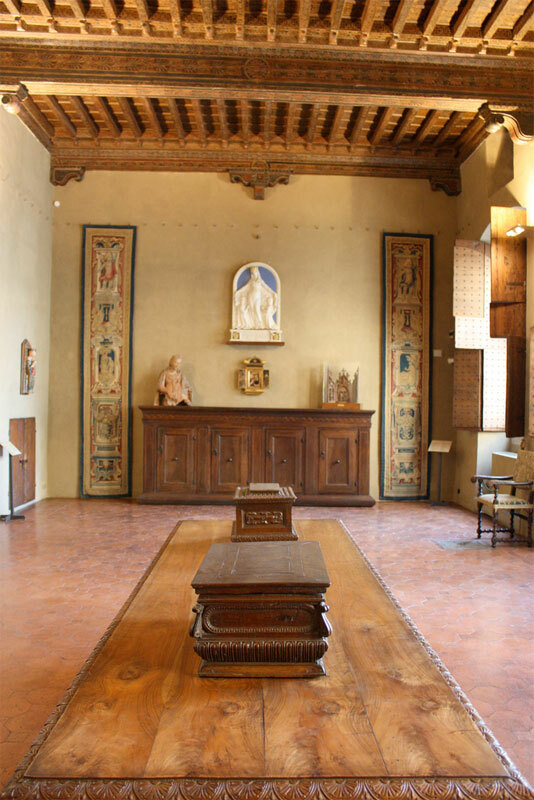 The Visconti di Modrone deck of tarot cards, which is officially dated around 1466, but may date from the 1440s, is one of the most prized possessions of Yale University's library. "The game, like other Tarot games, is a trick taking game in which points are scored by capturing certain cards and sets of cards. However, the deck has also been popular with card readers who see it as a variant of the esoteric tarot because of the allegorical and symbolical content. The Cavaliers [knights or jacks] are man/beast creatures. The Valets (or Pages) are male for clubs and swords, and female for cups and coins. 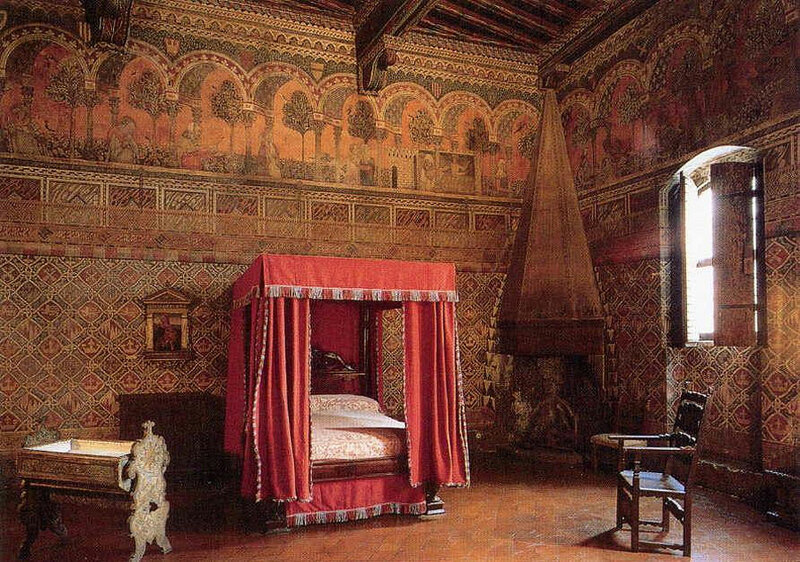 Further features include the replacement of the Papess, Empress and Pope by the Western Emperor, the Eastern Emperor and the addition of the Grand Duke. Some scholars believe that these cards may have served as teaching aids, because several trump allegories (Virtues, Elements, Zodiac signs) belong to categories upon which classical learning was based at that time." This is a 1995 Lo Scarabeo limited 'Etruria' edition reproduction of a 1725 version of the Florentine Minchiate tarot deck. There was also a 1996 mass-produced deck and a 2011 reprint. According to Tarot Heritage, the first mention of a 'tarot' deck, comes from a 1440 Florentine diary. Video Source: Youtube. BBC Four's show, The Art of Gothic: Britain's Midnight Hour (6 November 2014) explained how the 18th and 19th century explosion of science and industry inspired a Gothic counter-movement, a critical moral debate on the implications of unbridled rationalism. The BBC show highlighted the English painting, An Experiment on a Bird in the Air Pump (1768) by Joseph Wright of Derby (1734-1797), which portrayed the Gothic fear of scientists' experiments. Rationalists' destruction of spiritual concerns created horror. 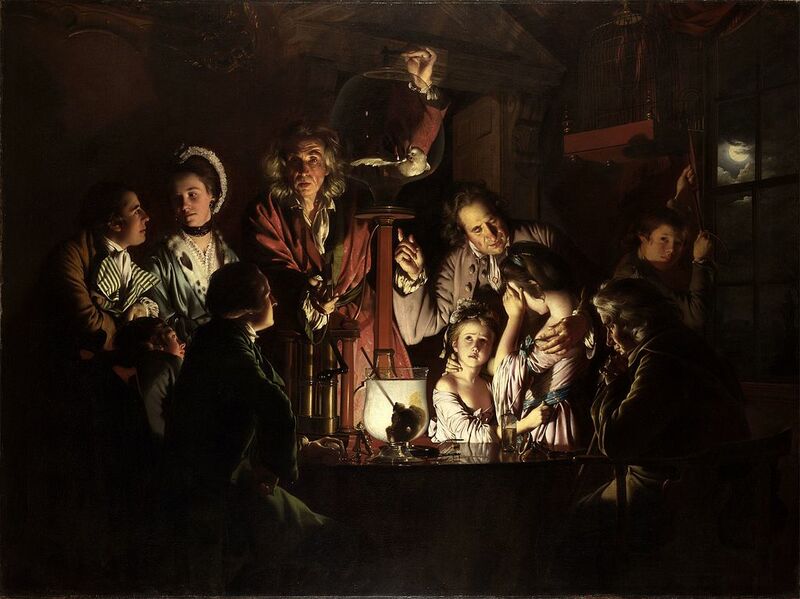 In the painting, the scientist is slowly pumping air out of a bell jar, in which a bird (symbolizing the Holy Spirit) is trapped. The scientist is suffocating the bird to demonstrate its dependence on oxygen. Image Source: Wiki. The Awaken the Amnesiacs series on this blog explains why and how the human interaction with high technology is taking on spiritual dimensions. In today's post, I discuss the Gothic moment at which undue rationalism carries within itself the seeds of its own undoing. The rational, when overindulged, becomes anti-rational. Any undertaking, done in the name of 'cutting edge change' will involve a confident, progressive agent. It is easy to criticize our forebears for their blind spots, and more difficult to see our own. In an earlier post, The Night of First Ages, I quoted an adaptation of Joseph Conrad's Heart of Darkness (1899) in the 2005 King Kong screenplay. The characters in King Kong are on a voyage to make a movie on a remote island. On the way, Jimmy, the ship's boy, reads Heart of Darkness, narrated by Conrad's protagonist, Charles Marlow. Marlow is on a journey to find an ivory trader, Kurtz, on the Congo River. Jimmy asks: "Why does Marlow keep going up the river? Why doesn't he turn back?" The Heart of Darkness scene from King Kong (2005) © Universal Pictures depicts the wall between ego and id, or between the conscious-rational and unconscious-anti-rational parts of the human mind. Reproduced under Fair Use. Video Source: Youtube. The ship's first mate remarks that Marlow keeps searching for Kurtz, without realizing how deep he is getting into the dark side of human nature, because Marlow believes he is civilized. 'Civilized' characters like Marlow and Kurtz are amnesiacs, who think their own savagery is no longer a threat, something from a long lost, bygone era of sticks and stones. In their hubris, they unconsciously become more savage as they push forward as self-appointed bearers of 'progress': "We could not understand because we were too far ... and could not remember ... because we were traveling in the night of first ages ... of those ages that are gone ... leaving hardly a sign, and no memories. We are accustomed to look ... upon the shackled form of a conquered monster ... but there ... there you could look at a thing monstrous and free." Jimmy realizes, "It's not an adventure story ... is it Mr. Hayes?" To which the first mate responds, "No Jimmy, it's not." The nested novel-to-movie-to-film metafiction in King Kong should be a message to its audience; as is the metahistorical fact that Heart of Darkness was based on a true story and the character Kurtz was based on a real person. The metafiction and metahistory of Heart of Darkness, embedded inside King Kong, reveal our amnesia. In blindly pursuing the singularity, why don't we turn back? Why don't we see that the history of the new Millennium is not an adventure story? It is because we expect the monster inside ourselves to be shackled. On the Internet and in research labs, the monster is not shackled. Scientists and technologists have reached a Gothic moment because there is a gap between their practice and the way they are perceived in mass media as progressive actors. When they work with the scientific method, they live with uncertainty. They test hypotheses which, if proven, are accepted until falsified or refined. At the same time, we live in a period when a cult of secular rationalism has supplanted mass religions to furnish the prevailing story of global civilization. Scientific method and rationality are equated with humanism, enlightenment, advanced education, and hyper-progress. Scientists and technologists occupy exalted social positions as perceived experts. In this capacity, they are less cautious. They are little aware that when they become public gurus or market their findings with mythical labels, they tap into that part of secular rationalism that functions like a religion, rather than a considered quantification of reality. Despite recent triumphs and headlines, there are signs of amnesia among today's scientists, technologists, and technophiles. They press ahead as experts and progressive actors, even when their impact on society starts to become surreal, or when their followers become cultish. They do not stop to reconsider their position, even when, as I put it in this post, "a nearly-unstoppable faith in, and optimism about, rampant technology" gives rise to "a heart-tearing soul-sickness which emerges from that intermingling of the virtual and the real." Scientists are frank about how much they do not and cannot know. The Guardian: "It is perhaps a sign of the health of modern science that the harbingers of so much doubt have met with such acclaim." The current situation is serious: physicists have reached the analytical limits of scientific inquiry for two reasons. They discovered that they can only observe and measure the tiny part of the universe which absorbs light radiation. When they do measure that tiny portion, they have confirmed that they change it at the sub-atomic level. We can only see a tiny portion of reality, and we change that reality when we look at it. Together, these issues trap us in a self-referential bubble of perception. The Higgs boson helps to complete what is called the Standard Model of particle physics. There is a way we have to try to understand – electrons and quarks and neutrino and other kinds of particles. And Higgs boson was kind of a missing piece of the puzzle. Which, if it were not there, would mean that we would have to kind of start over. But the fact that it appears to have been found completes our picture of the Standard Model of particle physics. That is not to say that we understand everything. We don’t yet understand how gravity fits in with particle physics. Other than the fact that gravity pulls particles together. We also do not understand things like dark energy. The universe seems to be filled with a dark energy that is expanding the universe faster and faster – I helped to discover that. And the 2011 Nobel Prize in physics was given to the team leaders last year for that discovery. I don’t think scientists will ever truly understand creation because I don’t think we will know where the laws of physics came from. But given a universe, given a universe can arise I think some day we may well understand dark energy and dark matter and the other constituents of the universe. We only discovered dark energy 14 years ago – the accelerating expansion of the universe. So it is no surprise that we don’t yet fully understand dark energy. Dark matter was only conceived a few decades ago. So again, we don’t yet fully know what dark matter is. But we have not been investigating it for very long. I mean, in hundreds of years who knows what we will know. We might have a full inventory of what is in the universe and how everything behaves. So we will know a lot. But we won’t quite know why it all happened and why there is something other than nothing. Why are there any mathematical laws of physics rather than just nothing at all? I don’t know whether we will ever understand that. Scientists are only well-aware of 4 per cent of the universe – that is, we understand pretty well the nature of 4 per cent of the universe. The stuff that is made of atoms. Ninety-six per cent of the universe is made out of dark matter and dark energy. And although we know they are present we don’t know what their detailed properties are or why they are there. Or what exactly is going on." On the other side of the line stand theoretical physicists, who deal with unmeasurable unknowns using mathematics. Astrophysicists stand, somewhat unhappily, on both sides of the line. A 2011 book by Richard Panek, The 4 Per Cent Universe, emphasized that scientific measurements begin to break down at dark energy and dark matter. The conventional wisdom is that as discoveries, knowledge, and tools improve, the scientific method will expand and continue. But this underestimates the problem of scientific methodological analyses - and for researchers in all disciplines who use them. It is not just a question of having insufficient tools to measure and quantify reality. It is a question of not being able to comprehend the findings. The Smithsonian: "'We have a complete inventory of the universe,' Sean Carroll, a California Institute of Technology cosmologist, has said, 'and it makes no sense.'" Apollo 18 (2011) faux found footage movie explained why 'we've never gone back to the moon.' The film was a huge box office hit. The real reasons for canceled Apollo missions were political, technical and funding challenges. Image Source: Movie Blogger. Just as physicists hit a wall, big science stumbled elsewhere as well. In one generation, the space age promised and failed to produce space station cities, moon pod villages, and colonists on Mars. Lunar settlements remain technical concepts, and China's 2013 lander, Yutu, made the first soft landing on the moon since 1976. 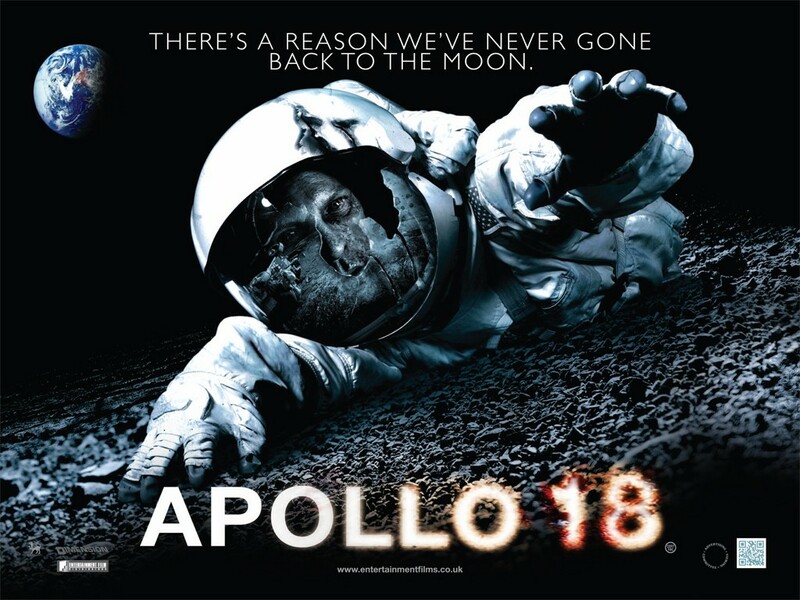 On the Internet, lunar exploration has become the dismal stuff of conspiracy theory and cinematic legend. Nor did the atomic age solve the energy crisis, or bring us cold fusion. Instead, it vomited up the radioactive fallout of nuclear disasters and inexplicable dark matter. Geneticists were supposed to cure cancer and the common cold, not produce human-animal hybrid chimeras which scare the public. These generalizations do not account for the realities of research and funding; but they explain why mass sympathy and confidence in big science waned over the past generation. Another day at Boston Dynamics. Image Source: RAND Corporation. Where big science stumbled, big tech was supposed to bail us out. In the public mind, if not in reality, the torch passed in the 1990s from big science to big technology. Over the past fifteen years, interest shifted from space exploration and cosmology - to computers, gadgets and the Internet. Technologists promised transhumanism, posthumanism, artificial intelligence, and the Singularity. This was why 'singularity' became the evangelical buzzword of technophiles between 2003 and 2012, and remains fashionable with its own cluster of personalities. Silicon Valley became one of the most powerful places on earth. High tech would launch us exponentially toward a gnostic, mind-opening, theophanic moment of transcendence. Enter the computer programmers, designers and engineers. We would remake ourselves on the clock, rework our societies and the whole world, and finally efficiently manage resources. The Internet, conceived by the scientists at CERN, was rationalistic in its construction. Unfortunately, it is anti-rational in its execution; it exploits users' unconscious impulses and forms a giant collective mind. We did not get a robot-supported Valhalla. 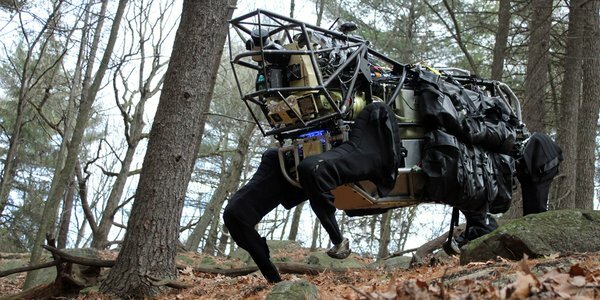 Instead, we got 9-million-hit Roomba cat videos, cyber-bullies, social-media-supported home invasions, remote-controlled brain-to-brain interfaces, and Boston Dynamics cheerfully preparing its Second Variety military hardware for World War III. 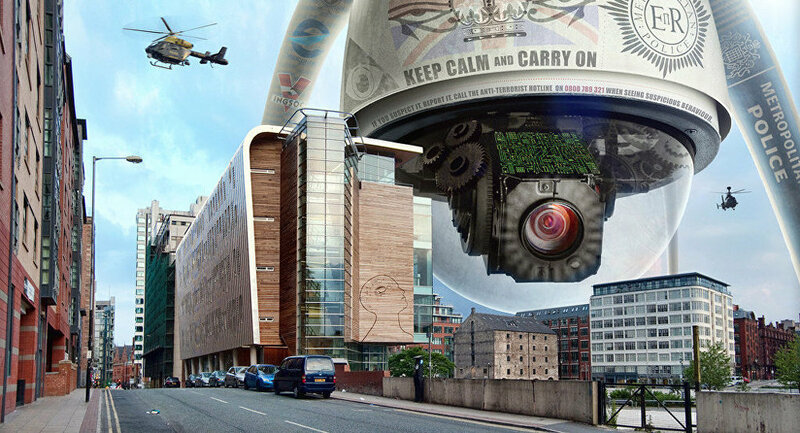 The technological revolution began to give way to the surveillance revolution. 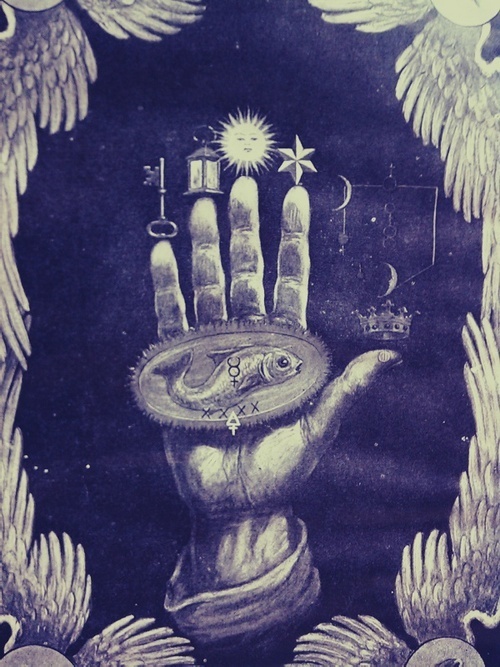 Gnostic symbols. 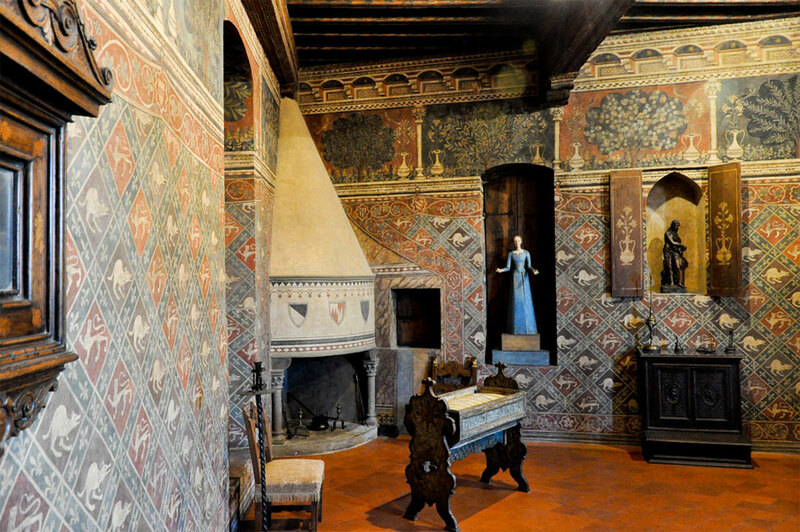 Image Source: MISTÉRIOS DE RENES-LE-CHÂTEAU. How are the astrological symbols and messages of Asia's Lunar New Year relevant to Millennial life? The Year of the Goat or Sheep encourages conformity and pacifism, conciliation and acceptance of authority, but allows for creativity and a healing of past wrongs. These values oppose the confrontational and competitive alienation of the Millennial mind, which calls for leaders, not followers. What is the origin of this confrontational alienation? This spring, Pacifica Graduate Institute in California is pondering the central myth of our time in a debate on Carl Jung's Red Book. I would argue that the Millennial myth derives from the Enlightenment era's hyper-rationalism, and an associated arrogance inflated by mechanistic advances in industry, science and technology. In the never-ending quest to quantify reality and generate dubious data sets, we come to the invention of smartphone brain scanners. 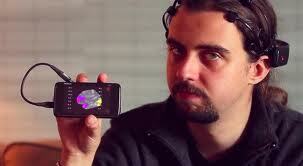 Real time brain-mapping Emotiv EEG was created in 2011 by researchers at the Technical University of Denmark. Billed as "holding your brain in the palm of your hand," this app demonstrates how Millennial technology puts the cart before the horse, curiously reversing the normal understanding of how we function. Computers are creating the illusion that everything can be understood by being measured and instrumentalized before we consider any other factors: the hand drives the mind, rather than the other way around. 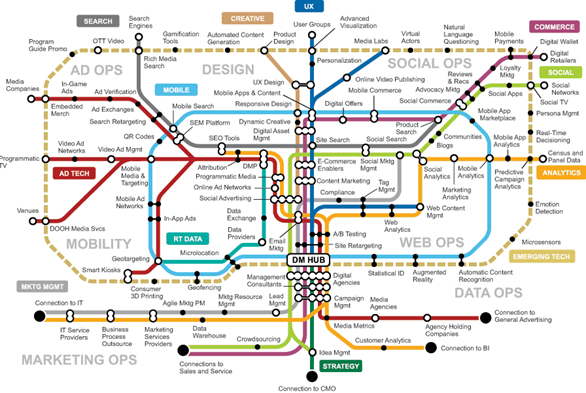 This makes us unreflective puppets of concepts such as 'usability.' Make something or do something because we can; build apps around that capability; worry later about what it all means or what it will do to us. Initially, the researchers will use the mobile system for research purposes, but one day this type of small brain scanner will perhaps be something that everyone has. Jakob Eg Larsen suggests where a mobile brain scanner can be useful: “If you’re about to doze off, you can actually see this from an EEG signal. If you’re driving a car or if you’re a long-distance lorry driver, then you could have this mobile equipment with you and you could have a system that warns you if you’re about to fall sleep. The tech is open source. Originally out on the Nokia N900, a subsequent variation of the design was made for the Samsung Galaxy Note 2. An iPhone app, Mynd, uses similar technology. Think of the potentials for marketing! Below the jump, a demo video shows that several sets can be worn in social situations and people can observe each other's brains as they interact with one another. The smaller Google barge. 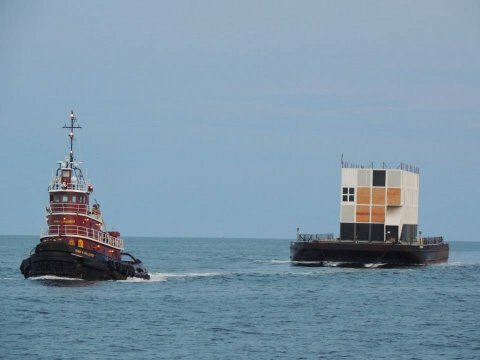 Image Source: Portland Tugboat LLC via Business Insider. Google's expansions show how different aspects of the tech revolution and globalization can combine with radical results. In this case, an investment opportunity arises from a mash-up of social networking, genetics and data processing. The MSM focussed recently on Google barges off the coasts of California and Maine. These are supposedly luxury Google Glass showrooms made out of shipping containers. But Google is preoccupied with more than gadgets. It has recently set up camp at the crossroads of data-crunching and life itself with its new venture, Calico. Researchers at Calico aim to extend the normal human lifespan by 20 to 100 years. An innovation like that would be worth a lot of money to the company which successfully develops it. Time comments that in 2012, "the regenerative medicine industry was estimated at $1.6 billion. Scientia Advisers, a life sciences consulting firm, estimates that the industry could reach $15 billion to $20 billion over the next 15 years." each person's genome — a partial genome can be mapped today for $99 via 23andMe (another Google investment), but many are hoping a full genome will cost as much in the next few years. Daniel Kraft, medicine and neuroscience chair of Singularity University, affirms that this will require people to relinquish some privacy, in hopes of helping others and themselves, but predicts it to be something many will do. "Lot of folks will be happy to share elements of health history," he says. It’s a lot easier to take Google’s venture seriously if you live under the invisible dome over Silicon Valley, home to a worldview whereby, broadly speaking, there is no problem that can’t be addressed by the application of liberal amounts of technology and everything is solvable if you reduce it to data and then throw enough processing power at it. The twist is that the technophiles are right, at least up to a point. Medicine is well on its way to becoming an information science: doctors and researchers are now able to harvest and mine massive quantities of data from patients. And Google is very, very good with large data sets. Like China's one child policy, this project will undoubtedly suffer from unintended and unforeseen consequences. How not to get a job: study English. 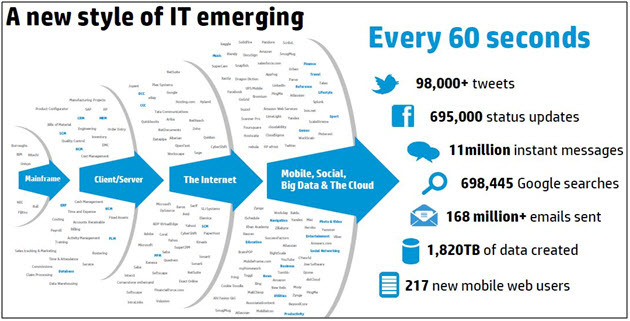 Image Source: Forbes. Yes, at the turn of a Millennium, we see history and architecture, down at the bottom. And at the very time when the technological revolution has caused global literacy and written communication to explode at a scale never before seen in human history, all the major disciplines which teach written expression and analysis are relegated to the bottom of the employment and pay scales? And in a global economy, the study of foreign languages, rhetoric and grammar also have no prospects? Really? Did politicians, economists, jobs analysts, bankers and financiers learn nothing in 2008? Why are they still allowed to control the balance of power in our societies? Forbes did not mention other subjects in the traditional humanities - law, philosophy, classics, linguistics, fine arts, theatre, dance, theology or the applied arts - presumably because these fields did not even offer numbers high enough to enter their sample statistics. Nor did Forbes touch on social sciences beyond economics, except for psychology, which is listed via the underrated discipline of counselling. No wonder there is a terrible recession on, when this unimaginative, blinkered, conventional view still predominates. This view places supreme value on activities which generate a communications revolution and the basic infrastructure of international trade. Forbes hands us a world of middlemen and technicians who apply knowledge rather than discovering it: administrators, marketers, managers, industrial designers, economists, engineers, medical personnel and computer scientists. 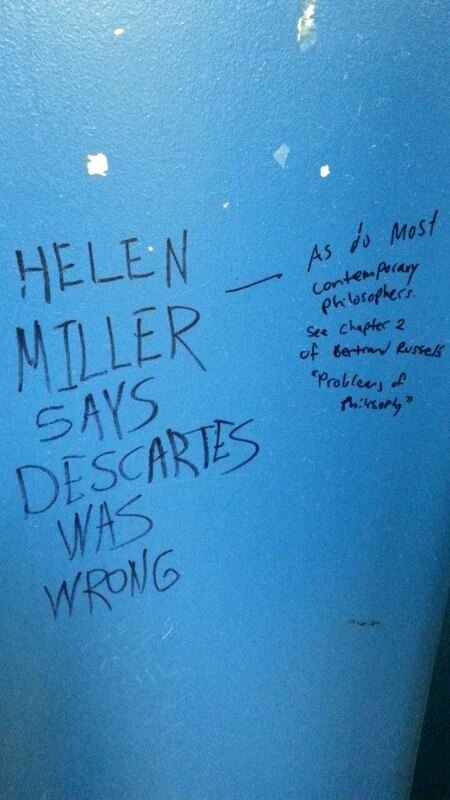 Empiricism is king. Positivism and neo-positivism consume all mysteries. 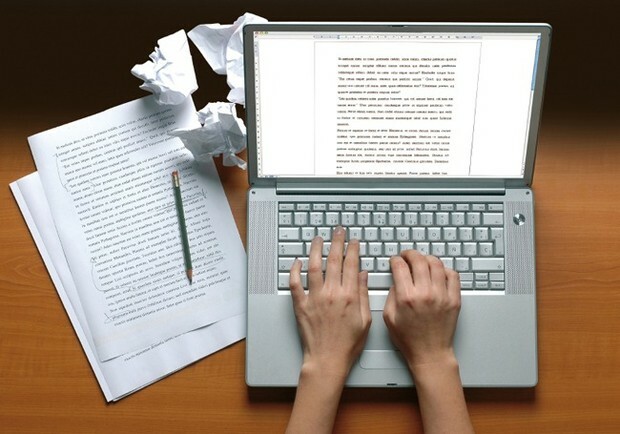 I think with social media and Kindle we finally have the fairest way to find the world’s best writers chosen from a pool of millions – rather than what we have had traditionally – the best writers presented to us by the publishing industry who choose for us from a limited pool. Is Stephen King the best horror writer in the world? No – but he is the best horror writer from a small pool printed by the publishing industry who resist other writers to maintain the reputation of writers that are household names. In this new dawn, those previously thought of as writing gods are going to be revealed as just writers. Good writers, perhaps, but not the best because for the one Stephen King published there are hundreds ignored to sustain his reputation as the best because it’s easier and more profitable to publish a terrible Stephen King book than a great new book by an unknown writer. Ironically, wildly popular Millennial reality talent shows seek to combine the two creative realities Craig Stone identifies. But these efforts are slickly produced and do not really solve the problem. Faux creativity is draped gaudily over every new gadget and applied software suite. Social networks build the Big Lie of the Individual, made 'special' by 'friends,' 'connections' and personal preferences. At some point in the 1980s and onwards, the word 'club' was used constantly in marketing lingo to confer special membership and privilege, when in fact it denoted that one had been absorbed into another featureless herd. Tape on Fukushima's leaky pipes. Image Source: AP via HuffPo. 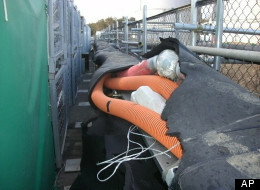 Caption for the above photograph: "In this photo released by Tokyo Electric Power Co. (TEPCO), a section of a hose, top, from which tons of highly radioactive water appears to have leaked into the ocean, is seen covered with vinyl tape at the tsunami-hit Fukushima Dai-ichi nuclear plant in Okuma, Fukushima Prefecture, northeastern Japan, Thursday, April 5, 2012. (AP Photo/Tokyo Electric Power Co.)"
Stories of tragedy, heroism, resilience and recovery filled the daily news ... [after the 2011 Japanese earthquake and tsunami] ... [o]ne local from the area responded in poetry: The stars were amazingly beautiful, but I saw fire burning red beneath the black sky in the east. It was silent, but we could hear explosions somewhere, and the smell of burning was in the air. The Fukushima meltdowns have long been in gestation and were finally born from a movement of ocean and earth. Not so much an historical caesura as its ‘3/11' naming suggests, Fukushima is a re-telling of an old story, only in capitals. Since 1971, Fukushima Daiichi's weaknesses have grown out of hubris and complacency, which persisted despite decades of international warnings (see here, here and here). Considering the noise against the nuclear industry and nuclear weapons in the 1970s and 1980s, the silence from the media now is deafening. The world's greatest ever environmental disaster is unfolding. Where are political environmental talkers, like Al Gore, who was all over the press a few years ago about global warming and melting ice caps? Why isn't a documentary film-maker political activist like Michael Moore getting to the bottom of corporate secrets in the nuclear industry in America? Silence, like a cancer, grows. Our words like silent raindrops fall, and echo in wells of silence. MSM silence around Fukushima is a real problem. Local media and wire services are reporting events at the plants, but MSM news programs do not give the information high profile coverage. This silence is creating an information vacuum, increasingly filled by Internet chatter, and the latter exhibits troubling signs. Hence, Fukushima is becoming a prime example of how the Internet is shaping Millennial consciousness. 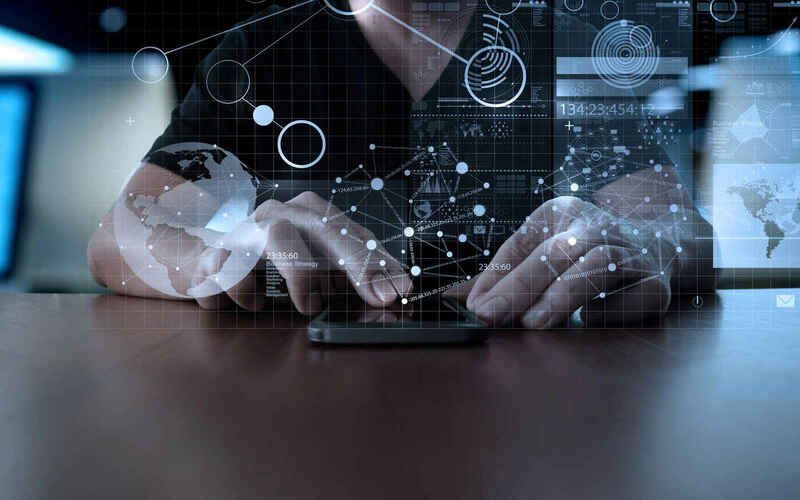 The Internet is now a strategic - possibly a decisive - factor in any unfolding disaster, because it can alter the generally perceived context of a crisis in the blink of an eye. In a similar way, the power of the Internet was initially demonstrated after 9/11, when online communications allowed 9/11 to become the subject of malevolent second-guessing of governmental, political and social authorities; Cyberspace, which was supposed to become the ultimate source of renewed democratic freedoms, enabled toxic reinterpretations of an increasingly frayed reality. 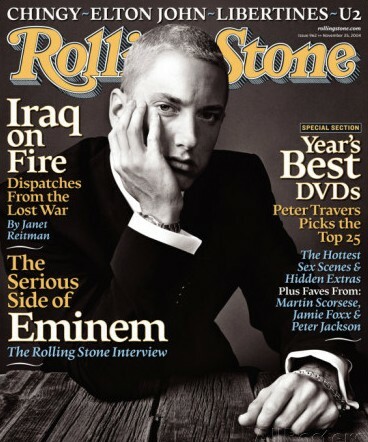 The first decade of the 2000s confirm that the media lessons of 9/11 were not lost on politicians and power-brokers, nor equally on little people, who realized that social networking and online media tools allowed them to craft the cachet of micro-fame. In this atmosphere, fake or ignorant online sincerity about a disaster looks more authentic than that of unplugged-in people, like the workers at Fukushima, who struggle to contain the actual disaster, and who may die trying to protect us. Why would cyber-citizens trust their friendly neighbourhood online conspiracy theorist more than the representatives they elected to office? The very act of questioning authority on the Internet now bequeaths automatic, unsubstantiated and false credibility to any cyber-personality who bothers to engage that trope. And while some commentators are sincere and trying to engage in the world around them for the common good, others have agendas; and still others are wolves in sheep's clothing.